It is not a secret that I don’t like cleaning. And it’s also not a secret that I love my shortcuts. This evening I used one of my favorite cleaning shortcuts. It was necessary because the condo is dirty after a busy weekend, but I really didn’t feel like cleaning. I was much to busy watching season one of Greek, which is now available on demand on abc family. If you never watched this show, watch! Then join me in wishing we could do college over (minus the classes). In between episodes, I did do laundry. Four loads! Averi’s, so her school uniform was clean. Towels, since we went to the beach yesterday and towels never dry in the Miami humidity. Which means nasty damp smell that infiltrates the whole condo until they are washed and dried (another reason to hate humidity). And then two loads for Michael and I. Because I am a good wife who takes care of her husband. Regardless of who washed the laundry, I ended up with four used dryer sheets. These are my awesome shortcut trick for dusting. I always give a quick wipe down of wood furniture after I’ve taken the dryer sheet out of the clean laundry. Tonight I also used a couple of the dryer sheets on baseboards and the decorative raised panels (is there a real term for these?) on all our interior doors. 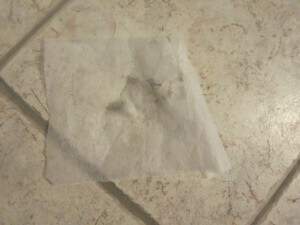 Five minutes, no messing around with cleaners or paper towels, and done. 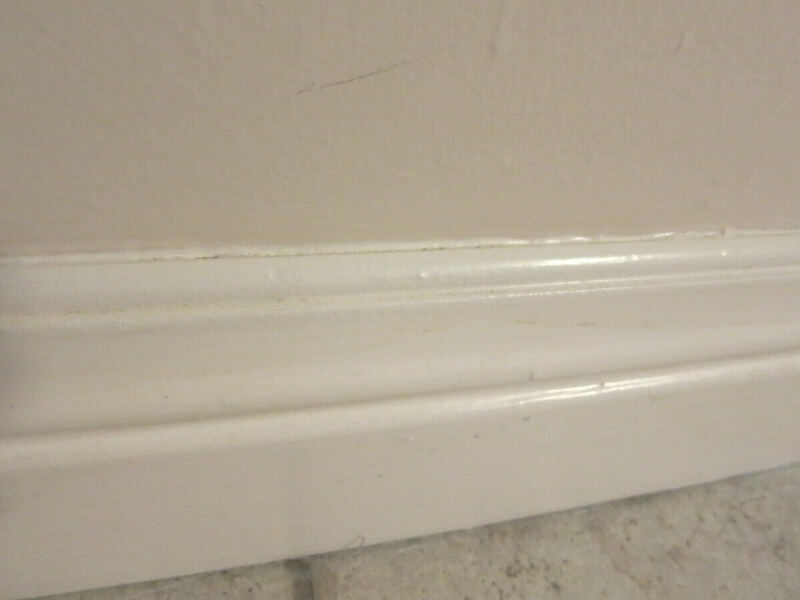 I always feel like the whole house looks cleaner with clean baseboards and doors. 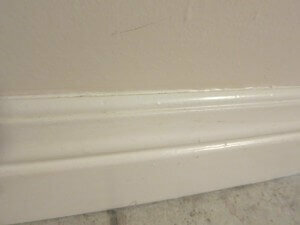 These are the baseboards before. Gross, right? And I don’t even have dogs to blame it on anymore. 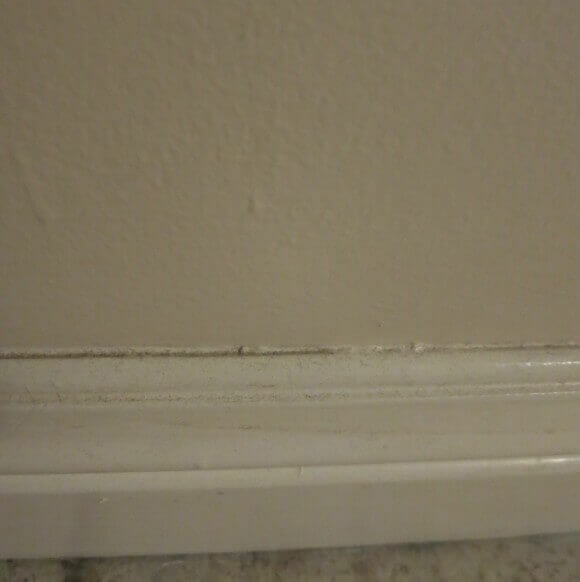 Baseboard 10 seconds and one used dryer sheet later. Nice, right? Whatever it is in dryer sheets that keeps your clothes from getting static cling also keeps the dust adhered to the sheet. 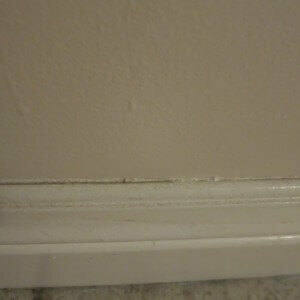 So the dust doesn’t fly all over the place, the way it can when you dust the regular way. A secondary benefit of this shortcut! With so much accomplished today (ha! ), I’m declaring tomorrow a free day and hitting the mall with a friend. Expect to see some pics on Facebook (az trophywife) and Instagram. Which means you better be following me on both!